Emma Towslee knows what it’s like to overcome setbacks. The soon-to-be graduate in biology with minors in chemistry and business, has to live with one that has set her back for the past four years. Her freshman year she was diagnosed with Type 1 diabetes. “It was a hard time for me that first year,” said Towslee, “I had just started school here and two months later I was diagnosed with Type 1. 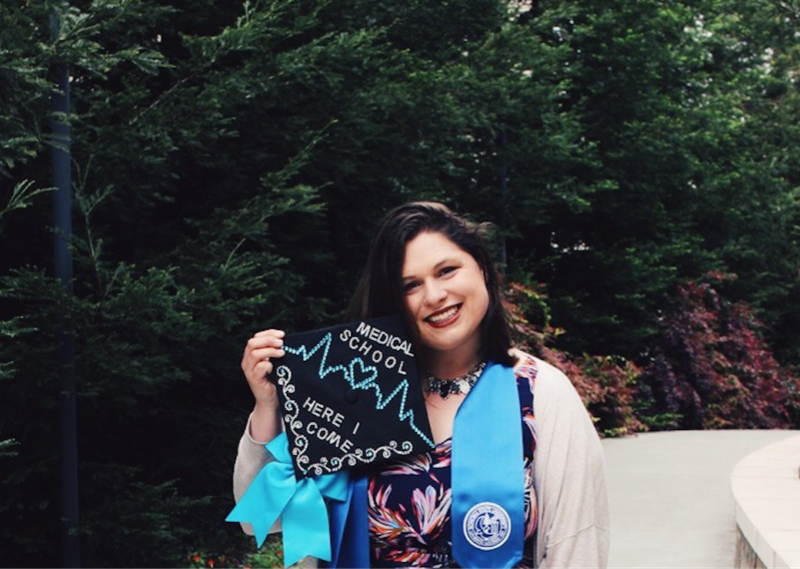 I didn’t know whether I should continue my studies here or to just take medical leave as people in my life suggested.” Towslee decided to stick it out and make sure she finished as the first college graduate in her family. The Sacramento native has recently been accepted to St. George’s University in the Caribbean island of Grenada for medical school and will start this fall. “I’ll miss my family the most in this new milestone in my life, but I am very excited about this journey since this will eventually lead to my dream of helping people,” she said.